Enjoying a quiet position, right on the seafront and offering direct access to the beach, the Marsol Apartments are ideal for families, couples and groups. 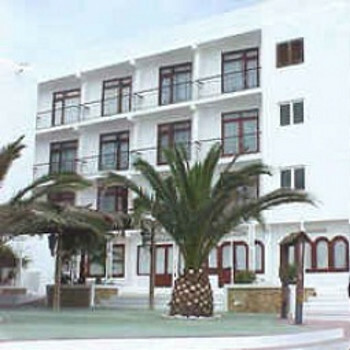 The nearest shops and supermarket are 300 metres away and there is a choice of bars and restaurants. An ideal location within yards of the clean beach, no need for a pool really. Room was basic but clean and maid service good. Air conditioning would have been nice as would a TV. Staff were fantastic no doubt there. As was Thomas Cook rep, very helpful. Food in the beach bar was OK, good selection but we had a couple of meals served cold so chose elsewhere. That is the only gripe here and I'm sure we were just unlucky on the day. From this visit am actually looking to spend the summer here in 2012. My wife & I have just spent 2 weeks at the sophia beach apartments in a studio. Enjoyed our holiday very much. Room & balcony was quite large for a studio, plenty big enough for a 2 week stay. Sheets & towels were changed regularily - no problems. Had a microwave - good for jacket spuds at lunch time ! also kettle & toaster. The pool area was clean & tidy. The cooking area was rather scruffy( long term grime ) & needed a good clean, was o.k. once done by us. The area between the apartments & the beach is rather run down ( to say the least ), there is a derelict wine factory and tomato factory nearby which are massive. They are due to be demolished soon . A good holiday, plenty of walking to do into Kos town & beyond along the coast. The eating out was great. May go again but would stay at the new marina side of the town for a change ! We had minimal cooking utensils, but they were rarely used anyway. Apartment was very clean. Maids every other day. Location superb, but, if you have studio rooms they back onto the hotel next door where you have all the noise fro air-con and freezer units. Also there was the rubbish collections every morning at 7.00am. Apartment has no air-con so when door closed because of noise, it got very hot. There is no bathing area with free sunbeds as brochure describes. We had to pay 10.50 euros a day. We would not return to these apartments only because of the air-con. If on a budget these apartments would be a great place to stay. Have been to Ibiza many times years ago when children were around.Now on our own the Marsol suited our needs in an excellent location with the beach on the door step. Accomodation is basic but neat, clean & tidy. The balcony was rather small but we survived, it did have a good seafront view! Would return again. Just like to say this is our second time staying at this hotel,the family run hotel is great for families and couples.Julien and the staff make you feel at home,The beach is just a step away and is very clean. Spent a great holliday in Ibiza at Marsol appartments. Room was basic but very clean. Staff at marsol were very helpful and very eager to help. Location was great for the beach and shops but could benefit from having its own pool. Not much entertainment provided just kareoke every other night. We would go back to Marsol again!!!!!!! !